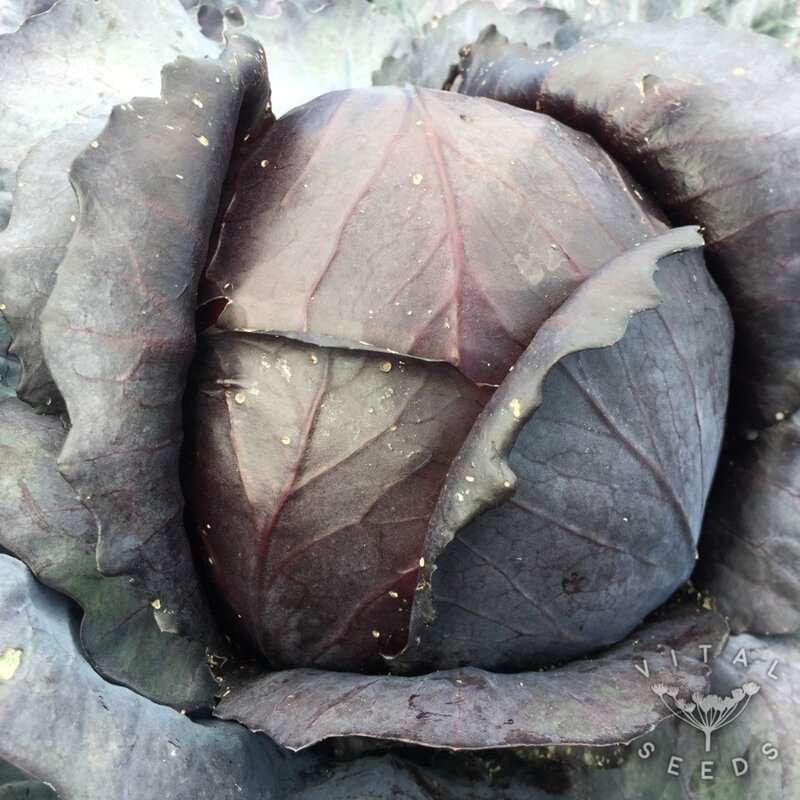 Red autumn and winter cabbage with a dense head and medium-good storage qualities. Rodynda is a variety bred specifically for organic conditions. 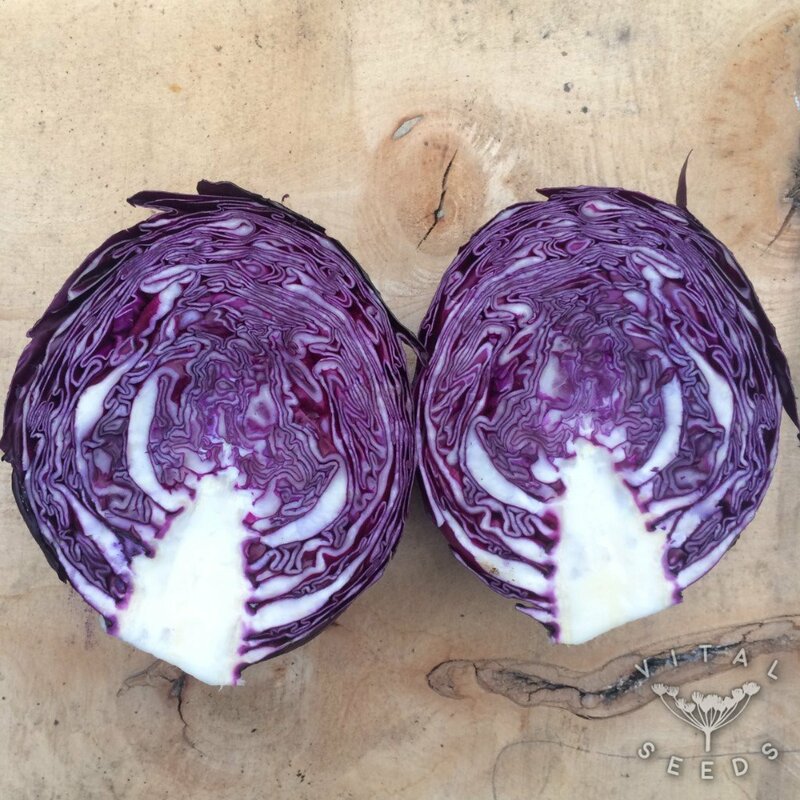 It is vigourous and short-stemmed and forms dense, elliptical heads. 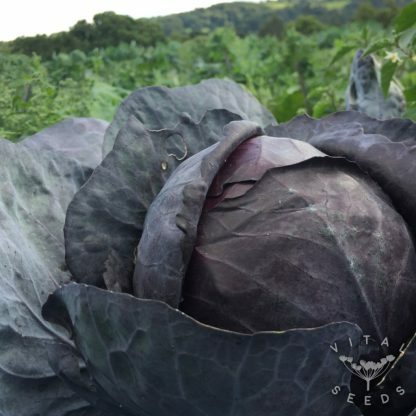 It has strong outer leaves and solid root growth. 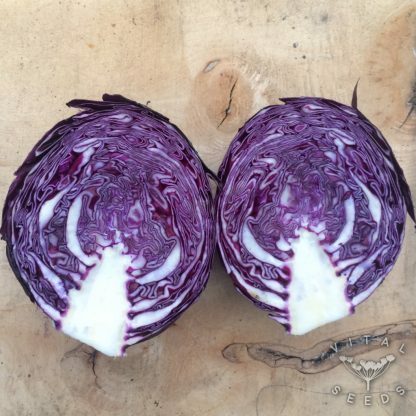 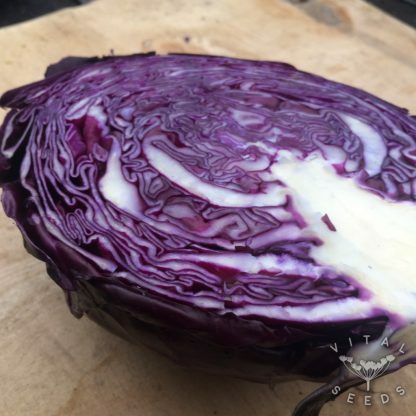 The particularly sweet and aromatic flavour makes it perfect for a coleslaw and it performs brilliantly in a classic braised red cabbage dish cooked with apples and onions.